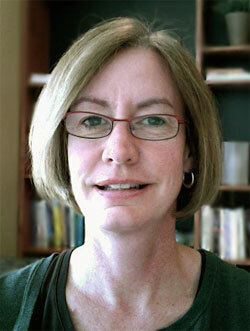 Prof. Nygaard came to Emory in 1995 and has been an active member of the core faculty in Linguistics since 1998. She regularly teaches Linguistics 309 Brain and Language, and also teaches other courses in Psychology at the undergraduate and graduate levels. She serves as an advisor for students completing the Joint Major in Psychology and Linguistics. Her research seeks to further our understanding of human communication, particularly speech perception. Speech is a highly complex signal, and speakers convey information intentionally with the syllables, words, and sentences that they utter. In addition, however, an enormous amount of information is conveyed through a speaker's individual vocal characteristics and style. As such, spoken language requires that the listener integrate what is being said with how it is being said. Prof. Nygaard's research aims to describe and explain how listeners interpret a talker's intentions, thoughts, and feelings, using both linguistic and non-linguistic aspects of spoken language. Prof. Nygaard is presently working on three different projects. The first explores the characteristics of auditory imagery for speech (Do readers engage in a type of auditory imagery for speech when reading text?). The second is designed to examine the role of talker and accent familiarity in spoken language (How does perceptual learning of a particular talker's style of speech influence a listeners' ability to understand the linguistic content of these utterances?). Her third project is designed to examine the influence of emotional tone of voice on spoken word recognition (How and at what point in the processing of spoken words do listeners integrate emotional tone with linguistic content? ).